Clinton Fernandes teaches at the University of New South Wales, Canberra, Australia. - Barrie Dyster, Economic History, University of New South Wales. Co-author, Australia in the Global Economy. 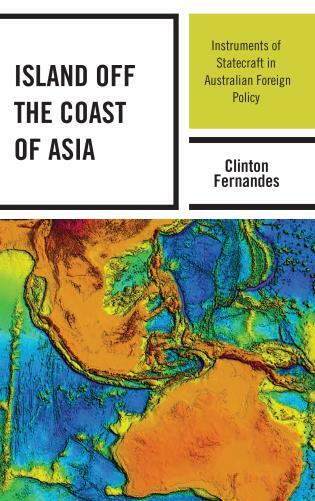 Island Off the Coast of Asia is a compelling and necessary examination of Australian foreign policy, not just for scholars of Australia but for all fields of international relations. Using newly-found files to show how high-level policies were formed, it showed how Australia's policymakers gave priority to economic interests and to creating a political order to secure and protect such interests. It is a comprehensive look at Australian diplomacy, finance, investment, law, scientific research, military force, and espionage and Clinton Fernandes has shown a mastery of all these fields in creating what will be seen as a magisterial and essential book. a tour de force in critical scholarship, and essential reading for students of Australian Foreign Policy. Drawing on extensive primary sources, previously classified files, and illuminating case studies, Fernandes’ multi-dimensional analysis of Australian foreign policy history is a landmark of critical scholarship. This important alternative history of Australian foreign policy is a welcome corrective to the bipartisan orthodoxy. It exposes the often opaque coterie of interests which have driven Australia's military and economic security priorities over two centuries. Its sweeping scope shows a mastery of many subjects, from Australia's imperial origins to its troubling alliance with the United States to the contemporary challenge of China. It deserves to be widely read. This deeply researched and penetrating study of Australian foreign policy from the earliest days, with scrupulous use of secret files and close analysis of historical events, demonstrates convincingly that its essential continuity is rooted in the power and interests of the private sector, where fundamental economic decisions are made. Those demands determine the “national interest” and the goal of securing a political order that responds to them. A very valuable and instructive exercise in authentic realism, with lessons that generalize broadly. Massachusetts Institute of Technology and the University of Arizona. Clinton Fernandes’ Island off the Coast of Asia does not pull its punches. It shows in ten chapters, which are tightly argued and empirically rich, how Australian foreign policy priorities and strategies are informed by domestic and external stakeholders and their capital interests. What used to be termed the military-industrial complex might be better thought of as the ongoing neo-liberalization of foreign policy. Klaus Dodds, Professor of Geopolitics at Royal Holloway, University of London and author of Geopolitics: A Very Short Introduction (Oxford University Press 2019 third edition). A superb, critical study of Australian foreign policy. Fernandes has written a comprehensive, well-documented and compelling narrative of Australian foreign policy from its early days as a British colony through the present. With clarity and depth, he shows us how Australian policy-makers have sought to remain on the winning side of global power struggles while supporting dominant Australian capitalist interests, often to the detriment of the large majority of the Australian people. The book is particularly keen on the interventions of Australia in Indonesia and Malaysia. This book should be of interest both to scholars and the general public interested in Australian politics, and to a broader audience interested in how middle powers weave national interests into the global capitalist world. Its concluding chapter on Australia’s current position should be widely read and should spark much needed debate in Australia and beyond. This is how critical foreign policy should be written. This book examines Australian foreign policy in multiple dimensions: diplomatic, military, economic, legal and scientific. It shows how the instruments of statecraft have defended domestic concentrations of wealth and power across the 230-year span of modern Australian history. The pursuit of security has meant much more than protection from invasion. It gives priority to economic interests, and to a political order that secures them. This view of security has deep roots in Australia’s geopolitical tradition. Australia began its existence on the winning side of a worldwide confrontation. The book shows that the ‘organizing principle’ of Australian foreign policy is to stay on the winning side of the global contest. Australia has pursued this principle in war and peace, using the full arsenal of diplomacy, law, investment, research, negotiations, military force and espionage. This book uses many decades of secret files to reveal the inner workings of high-level policy.